Grow your customer-focused business with our bi-weekly newsletter featuring tips from entrepreneurs and experts in customer service and support. L ikes on Facebook, followers on Twitter, Instagram, Snapchat or Pinterest, connections on LinkedIn, subscriptions on YouTube, shall I continue? All of these are a cryptocurrency for social media marketers. Why Is Everybody So Obsessed with the Number of Social Followers? Popularity is the most obvious reason. People want to be visible, to have an influence, to please their ego and more recently make money by becoming influencers. Companies work on attracting new followers on social media in order to convert them into customers. The second main reason to gain followers is social proof. More followers attract more followers. This principle is based on trusting others’ opinion and taking it as a recommendation. Who Do You Want to Follow You? The quality over quantity rule applies to the number of followers, too. By now I suppose you already know your target audience. If NO, then step #1, take it as homework to define your potential audience, what they like to see/read/share, at what time they are active online, etc. People follow only what they like; this way, persona is essential in creating a content strategy that will be appreciated by the audience. 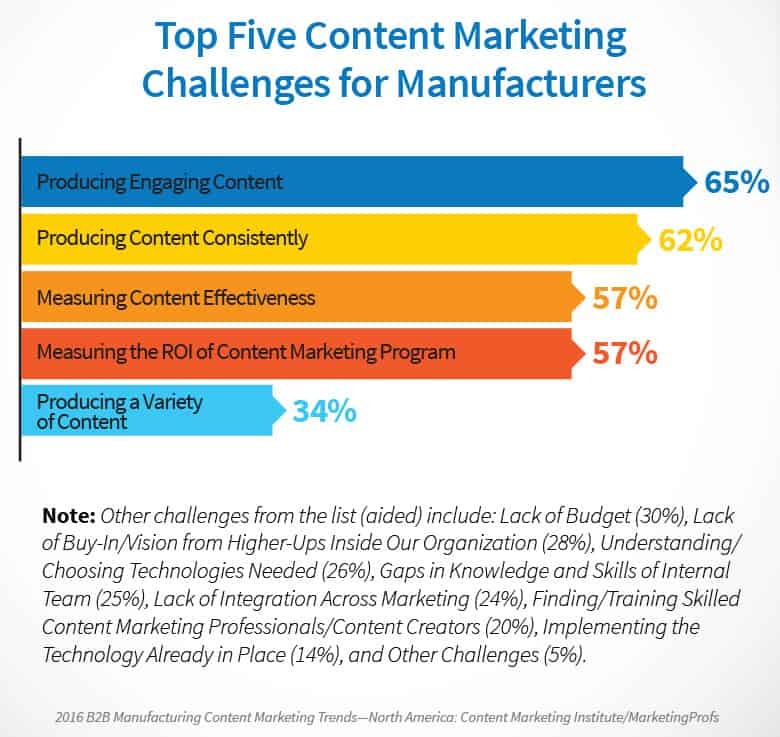 65% of content marketers said producing engaging content is their biggest challenge (Source: 2016 B2B Manufacturing Content Marketing Trends—North America: Content Marketing Institute/ MarketingProfs). Why Should Followers Follow You? Informer - companies that post pieces of content in order to inform their audience about something useful for them. We all want to deliver engaging content, to drive reaction and interaction. And this is impossible by doing meformer communication because people follow content that is valuable for them and their lives, not for your company’s life. Remember that out of the types of content that exist, more than 80% is the information that helps, teaches, informs or amuses the users. So here we come to step #2: analyze your online communication and, if it is meformer, then fix it. 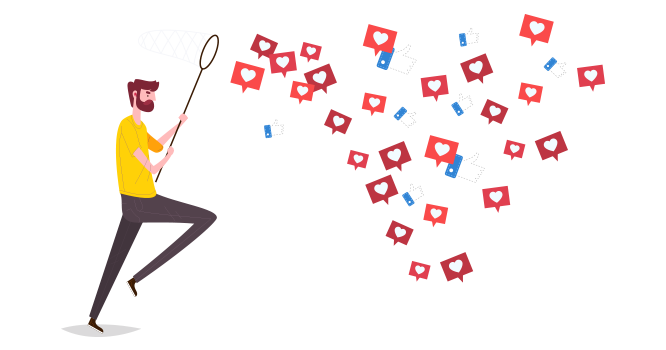 But if it is already informer then adjust it and do it better by using step #3, the definitive guide on how to increase social media followers for business. Increase your follows. 0 following speaks badly about your social media pages. Treat it like doing social networking online. People are more likely to follow you if you follow somebody they follow, too. Besides that, by following other social accounts you create a link to new collaborations. You also can keep a look on new post ideas done by others or the interests of your audience. Last but not least, it is proof that tells about your preferences, values and social media engagement. news sources in your industry. Work on your social presence by interacting with other social media accounts. You might provide help by answering questions your audience post. You can also interact with other brands posts offering strong opinions or relevant suggestions. 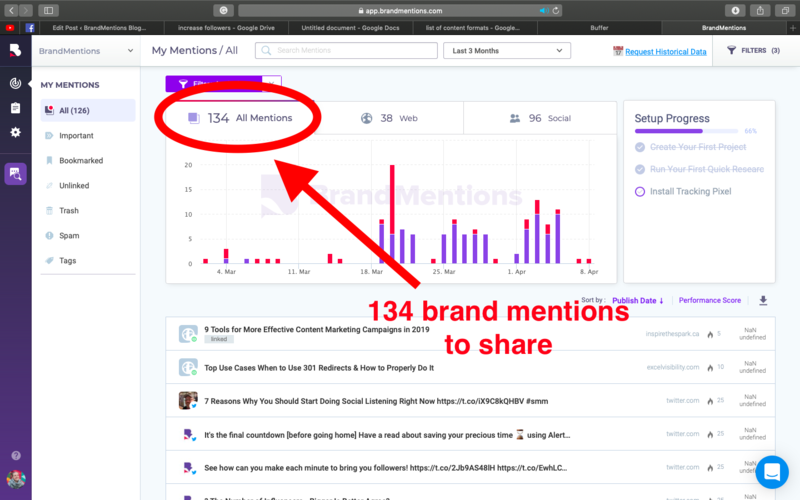 To simplify your effort, use monitoring tools like BrandMentions that let you do a quick search, for example, for “marketing tip” and dive into conversations. By brand monitoring, you are basically starting to do social listening that might bring you not only new followers but competitors followers, leads, product feedback, and customers. There are 7 solid reasons you should start doing social listening. You can also follow the conversation hashtags that drive discussions. For example, related to digital marketing, o Twitter we follow hashtags like #socialROI #SMTLive #VCbuzz #ContentClubUK #CMWorld #Digital360Chat. By offering good insights you will drive people's interest in following your next social media activities. As a sidenote, you can drive a lot of reactions by joking and trolling but we suggest you to do it smart or play it safe (if you feel like not being as good as Taco Bell). Otherwise, it can turn into a disaster in just seconds. Online reputation is very fragile and you can follow a guide on how to manage it. Personal, stunning, creative and authentic content is a Holy Grail for any marketer. But let’s be realistic: it is very hard to keep it constantly that way. An alternative to getting more followers by awesome content would be sharing. As long as social media posts are online, they are meant to be shared. You already follow accounts that provide great insights and breaking news relevant to your business (strategy #1). It is a great source of inspiration but from time to time you can also share those posts that seem to be well written, provide detailed information or just deserve to be seen by your audience, too. A simple step like this helps you in building relationships with other businesses that might follow you back and share your posts at some point. Also, it proves your open mindset and appreciation for others as an online user. Still, the main point is that you provide great content to your audience. As from one friend to another, we advise you to share news in your niche that will recommend you as the first source of hot information for your audience. Another advice would be to share the posts that mention your brand. Show the respect and gratitude to those who decided to spread the word about you. Boost your follower growth by reaching more people. Influencers are known for having a big and dedicated audience. A collaboration with one of them can convert their followers into your followers. First thought would be to find a celebrity to promote your brand. Still, it might be hard and expensive. We advise you to do research and spot what influencers already talk about you. They are already your brand evangelists and would be more eager to collaborate. We did a quick search for the hot dog restaurant from Chicago, Portillo’s and found that specific person. He is an NBA writer and we know that hot dogs are a popular food while basketball games; he has 2,499 followers - a remarkable point for an influencer, he is really active on Twitter posting 4 times a day on average, gets reactions and also it doesn’t look like he is collaborating with any other food industry. Looks like a perfect brand ambassador. Before jumping into contacting followers, make sure you will not make these mistakes of engaging with influencers. As in real life, human beings have the instinct to get in groups. The same happens online. Driven by the need for help, knowledge and experience, social media users formed communities on different social channels. Obviously, one more trick to grow your social visibility would be by joining these communities or building your own. Both include advantages and difficulties and you can do both. Building a community has a unique advantage. Users engage with brand firstly as a generous source of information, then they go beyond that and visit your social media page too and get to know your products. A long hard process is waiting for those who decide to build a community. You must have a clear vision of what people you want to gain together, what their common need is and how exactly you are going to help them. Also, your own community is a commitment that requires patience and constant supplies of information. Results come in time. With the right approach, you will educate your community members to grow it with you. An example would be a SaaS company, CognitiveSEO, that offers a toolset for SEO optimization. 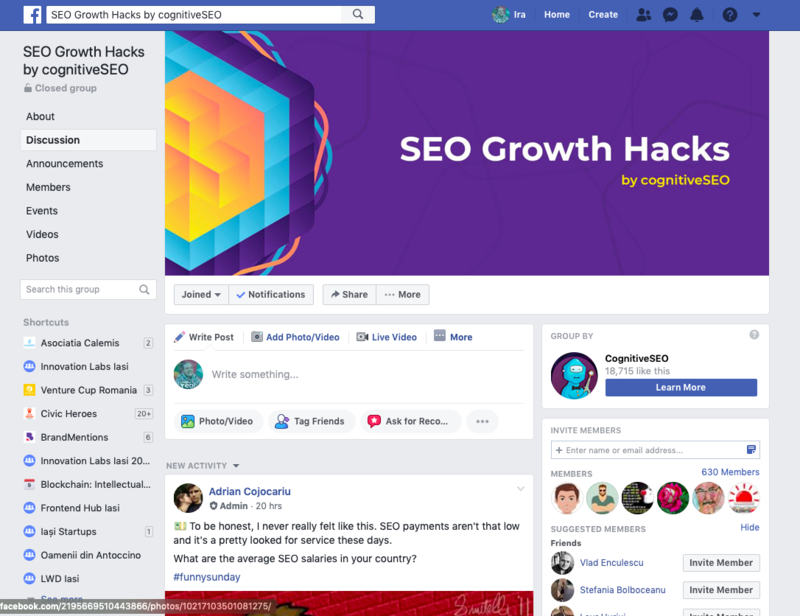 Their CEO had the feeling and the acute need to gather SEO specialists together and make them (and himself) exchange SEO hacks and the incredible results they achieve with or without his specific tool. So far, it took 5 months and daily posting to get 630 members in the SEO Growth Hacks by CognitiveSEO. Joining one would be much faster but still, it requires you to have a professional and generous attitude. You are there to exchange information and not to promote your business. The only way you can promote yourself is by offering valuable insights on the topics. This would be the reason people would respect you as a professional and would be interested in following your brand for more info. These communities are social media groups or forums. 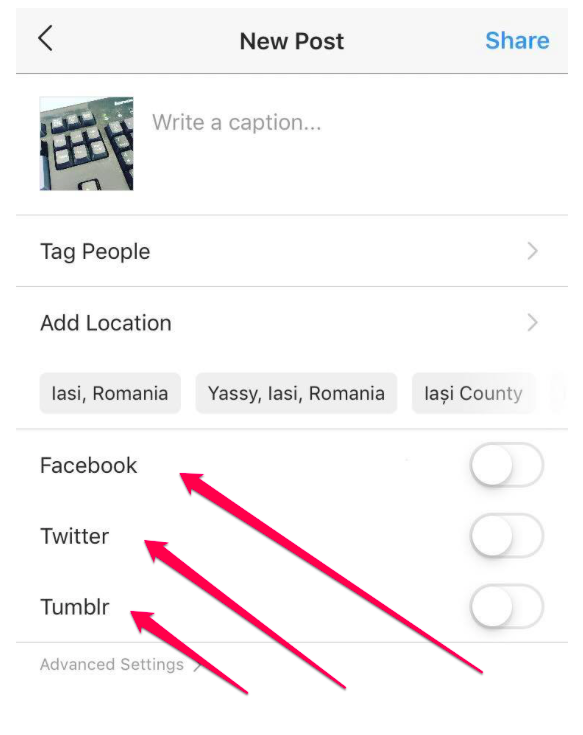 On Facebook, you can find groups by searching for your keywords and then selecting “groups” section. Besides social media channels, forums are natural communities. Each of them gathers interested people around a specific topic and make them exchange information. Being active there will boost your visibility within a very targeted group. Quora and Reddit are among the most popular forums, each of them having over 300 monthly active users. It’s a popular tactic. 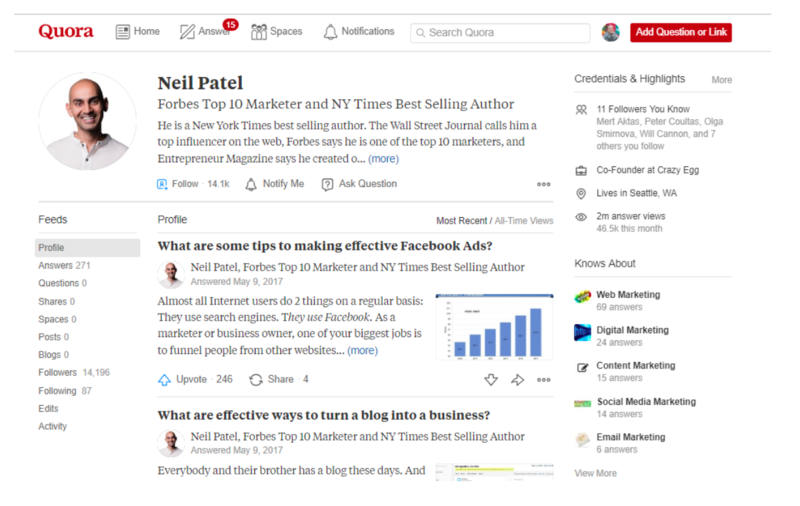 For example, in the digital marketing niche, even big marketers like Neil Patel are active members of the Quora community. It’s more a trick than a strategy to gain followers. Be an agile social media marketer and always keep track of all the updates on social media sites you are active. New features are something different that grabs the attention. Being first to use it would mean that all this attention would turn to your brand. Just look at the Countdown Sticker that Instagram introduced on December 12, 2018. 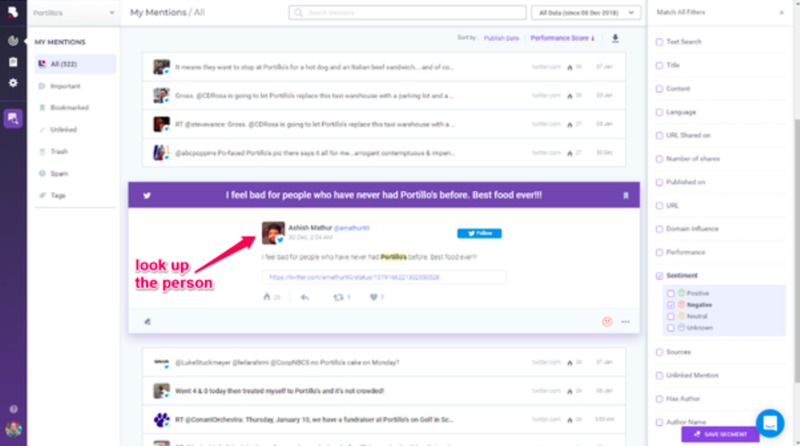 At that time, what would be better than announcing your product updates using a new social media trend? Sounds like hacking virality. Keep an eye on social media updates. Right now Snapchat is Testing New Snap Map Tools and Mention Stickers. Simple CTAs are an encouragement to like/follow your page. You can include this message everywhere: at the end of the newsletter, at the end of a blog post, in a video or in other types of content. Viral CTAs refer to a campaign that drives people's feelings and makes them engage on a bigger scale. Usually, this kind of campaigns has a strategy and months of creation behind. The main message have to go beyond your brand and to be more related to the audience and their lives to make them stick to it. You also might include a specific hashtag to it to make it more obvious and easier for users to get in the game. We give the crown of the greatest CTA campaign to Uber with their awe-inspiring call to rate #BeyondFiveStars. 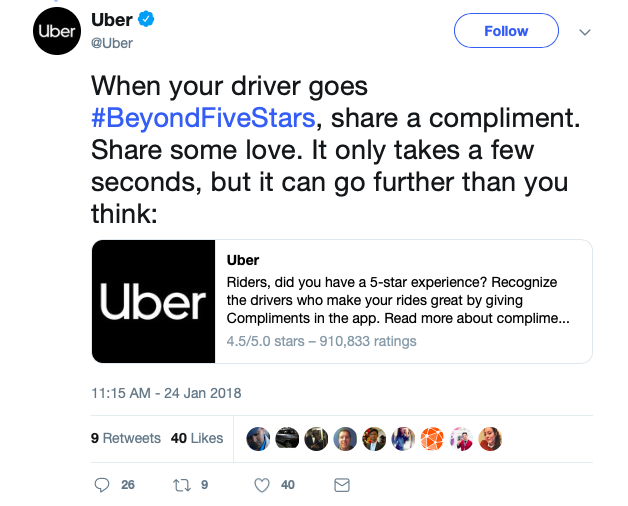 By this simple but deep message, Uber inspired people to go on social media and share their gratefulness to their Uber drivers that deserve more than 5 stars. Uber struck again by empowering this message on YouTube, too in a 3-minute interview showing also the social impact of their campaign. We are pretty sure Uber won some good followers and subscriptions on Twitter and YouTube. One of the biggest social media advice you can get is not trying to be on all the social media channels. Still, we face the need to be active on more than one to reach more audiences. This is also a great opportunity to “exchange” followers between accounts by cross-posting. What does it mean? Promoting your social channel on another channel. For example, you can encourage your Twitter followers to watch a video on your Youtube Channel. This is so useful that social media platforms even made it easier for us to share on multiple platforms at the same time. Social media channels is an online space where we expose our actions, result, and even failures made in real life. In order to attract there is a tendency to distort reality in the online. In order to win people’s trust, you have to be active in real life and show it on social media. You can start by sharing online the experiences of your team at the office, about the meetups with new clients, etc. You can also scale your real-life impact and involve your brand in CSR campaigns, taking part in events or organizing your own. All of them done with the goal to make an impact will bring a personal touch in your brand voice and will make people follow you. We advise you to read more tips to build a brand worth following. Make your employees love your company and be its brand ambassadors. Moreover, it is part of marketer’s unwritten duty to assure top management to promote your business. There are to sides of a coin. The great example is Elon Musk and Tesla. How many times was Tesla criticized because of Elon Musk's behavior? At the same time, Elon attracted thousands of people to believe in his businesses by involving them in his [sorry for the absurdity] personal online life. 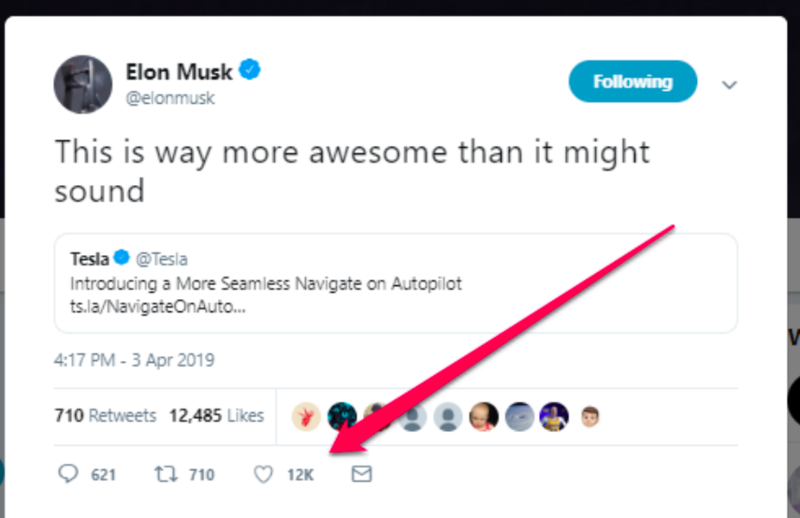 On a regular basis, his every tweet brings a lot of visibility to Tesla. We couldn’t finish this article without mentioning the Egg Phenomenon - world_record_egg that, posted in January this year, gained 53.141.376 likes by now [04.04.2019]. The Instagram page now has 9.4M followers. At first, it was a great mystery, how it can happen to win a lot of followers just in a few days. At the Superbowl the secret was revealed and the success was due to Chris Godfrey who works for a marketing agency in London. This simple post for breaking the record appeared to be a deep message supporting mental health that nowadays is very affected by online popularity and community validation. Fun Fact: we used the word follow/s/er/ers/ing 42 times in this article. IrIna Melnic Irina is a 1.5m piece of creative human. She is a Community Manager @BrandMentions by day, events lover by night and a nonstop social media surfer. Cinnamon, racoons, likes&comments, bright colors, sweets and plane tickets can make her happy instantly. BrandMentions is the most effective method of monitoring your brand or product on the Internet. It is also a tool that measures the buzz around your brand, product or keyword.